← SharePoint 2010 for Dummies – that must be for me! Why bother with Outlook 2003? When Microsoft released Outlook 2003 in October 2003 (The history of Outlook is a good link to the history of Outlook), it marked several breakthroughs for Exchange clients. First, Outlook 2003 introduced RPC over HTTP and laid the foundation of the access enjoyed by many users enjoy as they connect Outlook using wireless and other networks across the Internet to their corporate network without having to use a VPN. We take this kind of access for granted these days, but it was a huge advance when it arrived, even if configuring RPC over HTTP required major incantations of mystical spells before it worked with Exchange 2003. Of course, Outlook Anywhere as it’s now called, works beautifully in Exchange 2007 and 2010 and administrators who never had the opportunity to work with Exchange 2003 probably don’t know what the fuss is about. Cached Exchange mode was the second major advance introduced in Outlook 2003. Apart from the ability to synchronize folders for a complete mailbox down to local replicas held in the OST file, Outlook 2003 included a mass of network smarts such as drizzle mode synchronization, incremental synchronization, and intelligent threads to make sure that cached Exchange mode didn’t become a burden on networks. The combination of cached Exchange mode and RPC over HTTP access create the foundation for the working habits of millions of users today. We don’t care about flaky network connections because we work with local data; we know that Outlook will connect in its own time and that it will get the mail through, even the large messages sent by our friends in marketing that contain the latest corporate PowerPoint 10MB template for us to marvel at. So Outlook 2003 was an excellent client for Exchange 2003 – or even for Exchange 2007 when it was released. But technology and tide wait for no man (or software) and Outlook 2003 has been passed by to a point where it’s now an antique client that doesn’t know anything about the new server features that have been added in versions such as Exchange 2010, nor does it have the added smarts that Outlook 2007 SP1 introduced to reduce the connectivity load on Exchange or the ability that Outlook 2007 SP2 has to deal with large mailboxes. 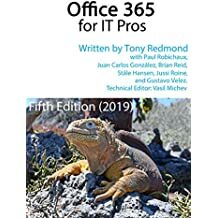 In fact, the Exchange development group has gone so far as to publish a blog post called Common Client Access Considerations for Outlook 2003 and Exchange 2010 that describes all of the problems that you get when you connect Outlook 2003 to Exchange 2010. Simple stuff at times, such as having to make sure that Outlook encrypts its connections to Exchange (not a default with Outlook 2003), but also more annoying things such as slower notification of newly arrived email due to the deprecation of UDP notifications in Exchange 2010. Microsoft’s blog does not go on to explain that Outlook 2003 is further handicapped by its inability to access new features that are important to Exchange 2010 such as personal archives and retention tags. It also can’t use some of the cosmetic stuff such as MailTips. And while Microsoft has promised to release an update for Outlook 2007 to enable it to access personal archives, you can forget about a similar release for Outlook 2003 simply because this client is so old. Yet I hear that many companies want to plunge into deployments of Exchange 2010 and continue to use Outlook 2003. I can understand the logic in wanting to upgrade the server infrastructure without incurring the cost of desktop upgrades and user training but I wonder whether this is short-term thinking that will only result in a pile of calls to the help desk as users scrabble to cope with the documented (but unknown to them) shortcomings. All in all, it seems to me that an upgrade to at least Outlook 2007 SP2 or, even better if the cost can be justified (because Exchange CALs no longer include Outlook), to Outlook 2010 so that all the new features – even the more esoteric and seldom used such as Outlook Protection Rules – can be considered to see whether they add value to users and the company as a whole. Every company is different and every company has different pressures and requirements that will drive the decision… but I just wonder why anyone would seriously bother with Outlook 2003 if they’re considering a deployment of Exchange 2010. More information about clients for Exchange 2010 can be found in my Microsoft Exchange Server 2010 Inside Out book! This entry was posted in Exchange, Exchange 2010, Outlook and tagged Exchange 2010, Exchange 2010 SP1, Outlook 2003, Outlook 2007, Outlook 2010. Bookmark the permalink. 4 Responses to Why bother with Outlook 2003? Tony, as usual I take your point to be very very valid. Sounds to me there is a businesscase for the service providers to be made to provide some service to the customer! How do you switch users on Outlook 2003 for email account??? I can’t seem to get anyone to give me the answer. On my favorite Outlook Express it was so user friendly and easy. I need Help!? Please! It’s a while since I used Outlook 2003, but I suspect that you are not accustomed to the way that Outlook uses profiles to determine the mailboxes (and accounts) that it uses to connect to resources. You might have a default profile on your PC (look under Control Panel and Mail) that you’re using to connect today. Try creating a new profile to connect to the account that you want to.